A prison in Cebu, Philippines became famous after releasing a YouTube video where its inmates reenacted and performed the "Thriller" dance under the supervision of jail warden Byron Garcia ... the video has garnered more than 50 million views !! The zombie song-and-lurch remains as popular as ever because of a growing interest in learning the dance steps to perform at wedding receptions, school programs, civic flash mobs ... who can forget the Hulk ( Mark Ruffalo) and Electra’s ( Jennifer Garner ) thrilling sequence in the movie 13 going on 30 ?? 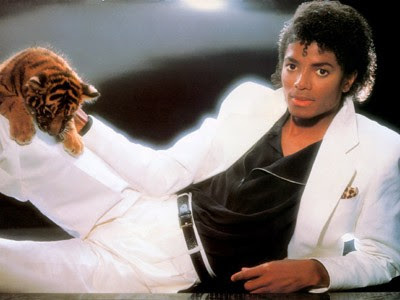 Billie Jean is the second single from the album Thriller .... 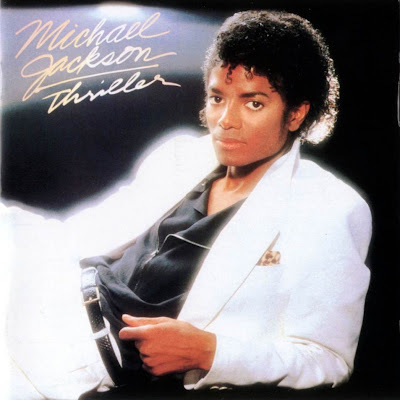 This Dance-Pop R&B song was written and composed by Michael Jackson with his female fans in mind .... MJ was already a superstar and celebrity by this time and frequently faced delusional female fans like “Billie Jean” , an obsessive fan who alleges he has fathered her child in the lyrics .... There is hardly any music lover in the world that cannot recognize the song in the first four drum beats followed by that distinctive repetitive bass line .... laced with MJ’s signature vocal hiccups !! On March 25, 1983, MJ performed "Billie Jean" to critical and popular acclaim .... Staged at the Pasadena Civic Auditorium, near Los Angeles, Motown 25: Yesterday, Today, Forever was a celebration of Motown Records' twenty-fifth anniversary.... MJ wore black pants, leather penny loafers, a black sequin jacket, and a single white rhinestone glove .... To begin his performance, Jackson snapped a fedora hat to his head ... and struck a pose—his right hand on his hat and his left leg bent .... He then threw the hat aside and lip synced to "Billie Jean” ..... During a musical interlude, the singer executed a move which many claim to have sealed his status as a pop icon .... Jackson glided backwards to perform the moonwalk ...... before he spun on his heels and landed En Pointe on his toes ....... It was the first time Jackson had performed the moonwalk in public ..... he had practiced it in his kitchen prior to the show !!!!! MJ’s 30th Anniversary concert to celebrate his 30th year as a solo performer, in Madison Square Garden in 2001 : He walked onto the stage with a suitcase ... took out his black jacket with the white armband ... put on his black fedora .... and then his white rhinestone glove ....... the crowd went berserk .... then with one snap of his fingers the spotlight came on .... and though he had turned white and plastic by this time ..... Elizabeth Taylor and Macaulay Culkin approved from the sidelines .... and all that we know as classic MJ was recorded for posterity in this Billy Jean performance !! And yesssss ... who can forget Scottish Bhangra group Tigerstyle's song called "Nachna Aunda Nei" .... a remix of "Billie Jean" and "Under Pressure" by Queen and David Bowie, featuring Kaka Bhaniawala with covering vocals ..... “Baanh farh ke nachan nu jee karda .... ki kariye ... nachna aunda nei “.... i want to hold your hands and dance .... but what to do ... i don’t know how to dance ... Michael Jackson Punjabi ishtyyyylleeee :D ... here are the complete lyrics if you are interested !! Tainu Vekh Ke Aini Khushi Hovey, Gedha De Ke Hoyu Ki Haal Kudhe? Saanu Tanh Machna Aunda Nayi! Par Dil Vich Vasna Aunda Nayi! This is a very well researched and well written post !! Hope you can come visit ours too. Thank you so much.We loved your blog.Nice to know you are from Delhi too.....Cheers girl!